For nearly 400 years, the Authorized Version of the Biblepopularly known as the King James Versionhas been beloved for its majestic phrasing and stately cadences. No other book has so profoundly influenced our language and our theology. KJV Personal Size Giant Print Reference Bible: Burgundy, Imitation Leather by Hendrickson was published by Alban Publishing in September 2006 and is our 9697th best seller. The ISBN for KJV Personal Size Giant Print Reference Bible: Burgundy, Imitation Leather is 9781598560978. 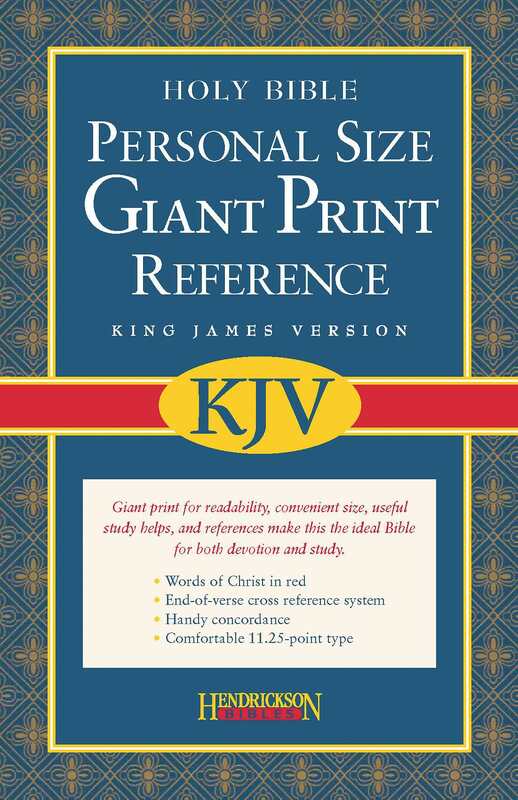 Be the first to review KJV Personal Size Giant Print Reference Bible: Burgundy, Imitation Leather! Got a question? No problem! Just click here to ask us about KJV Personal Size Giant Print Reference Bible: Burgundy, Imitation Leather.